My book has now officially shipped from Chronicle’s warehouses and is wending its way to bookstores. I checked with my local Barnes & Noble and they said it’d be in the Biography section on November 28th. Amazon also predicts they’ll have it in customer’s mailboxes on the same date. If you’d like to preorder one on line, you can do it here. If you just can’t wait, check out this trailer for the book. It’ll give you a healthy taste of what’s to come. I hope it whets your appetite! If you would like to add this video to your own blog or Facebook page, I would be so happy and grateful. All you need to do is click on the share button on the upper right hand side of the screen and a window will open with code you can copy. If you need help doing it, let me know. I had a lot of help from my friends in making this video: Butch Belair (remember him from this film?) did all the incredible special effects. Ben Lear composed the lovely soundtrack, “Scuba Lessons”. My old pal, Tom Jucarone at Sound Lounge, recorded my voiceover and made the whole thing sound amazing. And I got a lot of great advice and guidance from my brilliant friends, JJ WIlmoth, Tommy Kane and Bruce Davidson. 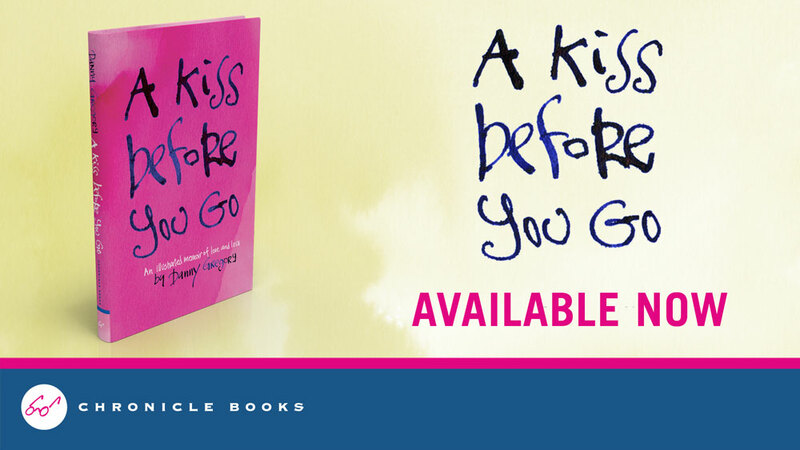 Danny, A Kiss Before you go is a beautiful book inside and out! I can’t wait to get my hands on a copy. I’d like to put this book on my website http://www.theartistontheroad.com if you can send me the code. Thanks so much for supporting my book, Richard. You can embed the video by clicking on the Share button in the upper right hand side of the video window — a new window will open with code you can copy and paste on your blog. Wow! Great sneak peek in that video! Love the generous splash of colorful paint that crosses those pages!!! I look forward to owning and reading this one Mr Gregory! What a beautiful trailer. All of your work is wonderful but I have a feeling that this book has something extra special and after I read it I’ll tell you why. So sad, and so beautiful! Looking forward to holding it in my hands! Warm greetings from Germany!!! Well this trailer did its job. I just preordered your book from Amazon. Cant wait to read it and see all that wonderful Art in preson. I have always said Art is a heart healer and you have proved it here. i’ve had this on pre-order for months and months and am counting down the days until it’s in my hot little hands! beautiful video, danny! 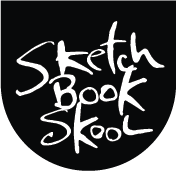 After previewing your video, I can’t wait to get the book. It really moved, and inspired me. Thank you…I do believe I’ll be reading more of your books! Sounds like a great read I’ll have to get my hands on. Just found your blog and looked it over a bit. Jack must be your son? I live in RI, work in Providence. Looking forward to “following” you. Beautiful, touching video. Your book arrived from Amazon last week. I didn’t open it but gave it to my husband to wrap it up for me for Christmas. I can’t wait to hold it. I have shared your video on my Facebook page. Ooh, Eileen, I like your self restraint. And the fact that you buy your own presents! How exciting! Can’t wait to get my pre-ordered copy from Amazon! Thank you for having the courage to share such a very personal story.